Image Credit: Rhys Knight, Search for Self #6, 2014, oil on canvas. Collection of the artist. Rhys Knight’s exhibition Search for Self is the result of making connections with the unconscious mind, allowing surreal and dreamlike imagery to freely form a sense of identity. 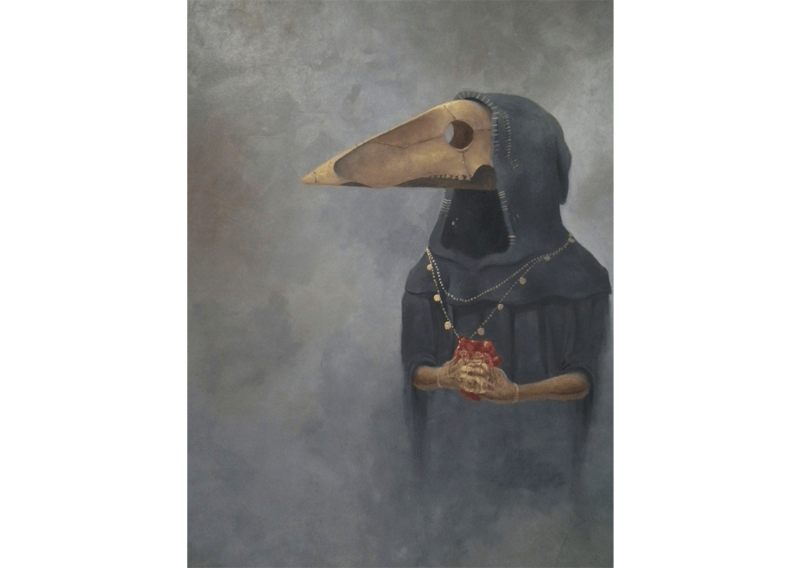 Knight’s macabre and ghoulish characters compel us to acknowledge our ‘shadow side,’ which in Jungian psychology may refer to an unconscious aspect of the personality. Each work is a ‘spiritual self-portrait,’ and although confronting, encourages recognition and acceptance of both the positive and negative aspects of self. Jung believed that everyone carries a shadow, and the less it is embodied in the individual’s conscious life, the blacker and denser it is.